Taken in the North of Sri Lanka, this photograph captures the colonisation of signs in a former conflict zone. Red earth and remnants of broken buildings stretch for miles. While driving, periodic signs for hair products, cell phones and sodas appear out of the scorched soil. The use of signs in distant areas is not uncommon. 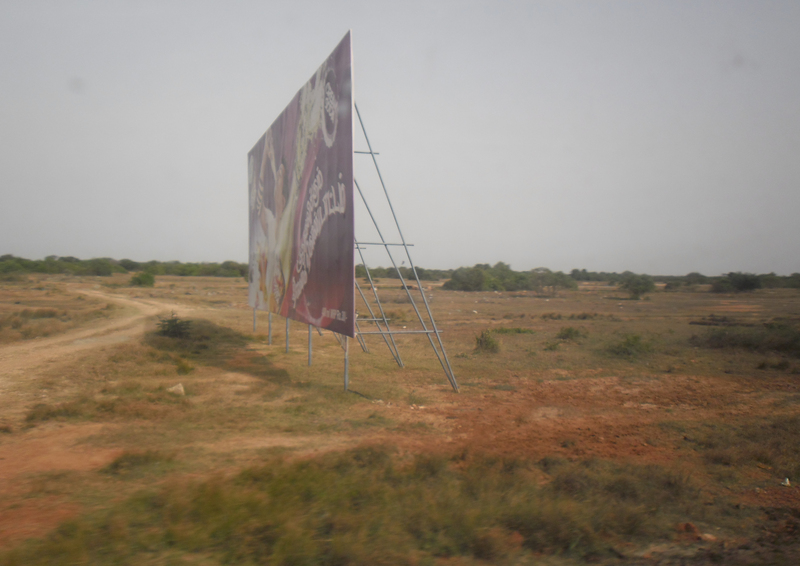 Development agencies and Non-Governmental Organisations (NGOs) stake out their project site, placing signage adorned with logos by the refurnished roads. These boards are memorable notes showing development, whether it be the opening of an untouched commercial market or involvement of the international community.